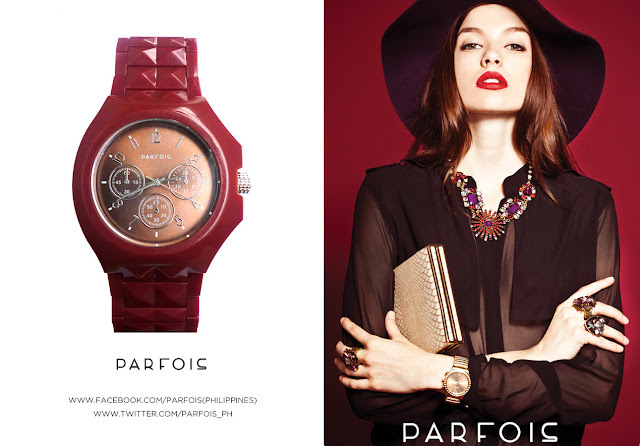 Europe's leading fashion accessories brand is now dominating Philippines, PARFOIS! Parfois' parent company Barata & Ramile has partnered with Vogue Concepts, the Philippine local distributor of the following premium international brands: PROMOD, PARFOIS, ETAM, and YVES ROCHER. 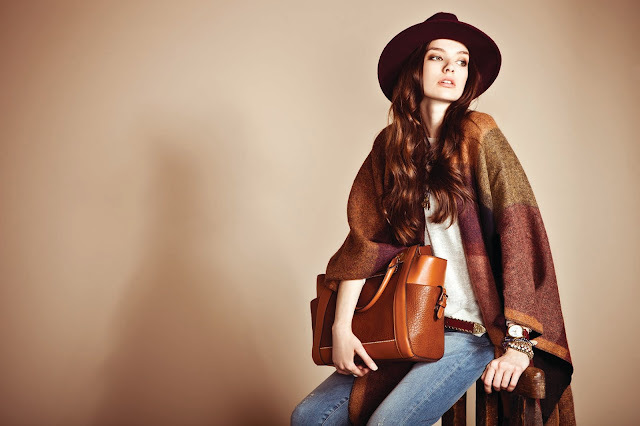 Parfois offers a full range of fashion accessories affordable to all Filipinas - a variety collection of jewellery, handbags (handbags... bags... bags… *echo*), purses, wallets, watches, sunglasses, belts, scarves, hats, hair accessories and uh, SHOES! And you know what? They update their stocks every 10 days, so it means that your purchase will give you fairly exclusivity. (No need to worry bumping to a girl carrying exactly the same bag and sporting exactly the same sunglasses, you know what I mean and I know the feeling too!) So next time you swing by, expect something new in Parfois store. Prices are reasonable for your budget, high quality at a good price. If you are looking for a perfect gift for yourself and for your bff, I suggest to drop by in Parfois! And because it's almost Christmas, Parfois is giving away 6 watches to 6 lovely girls! 1. Like PARFOIS (Philippines) and LOVE CYNTHIA on Facebook. 5. Comment below this blog post your full name and contact email. (include your Facebook and Google Friend Connect alias, in case it is different from your real name) and tell us why do you want to win a Parfois watch? Note that you have to do everything for your entry to be valid. A total of 6 watches to be given away! This giveaway will only run for 3 weeks, so hurry lovelies and join us! We'll be choosing 2 girls to receive a watch each week! This giveaway is open for my readers from Philippines only. 3rd week winners on December 23, 5pm Manila time. Winners can only claim their prizes in the following Parfois branches: 1st week winners – PARFOIS Gateway , 2nd week winners – PARFOIS Megamall , 3rd week winners – PARFOIS Glorietta.